Cook the corn in a pot full of boiling water. Once it has cooked, remove it from the pot and let it cool. 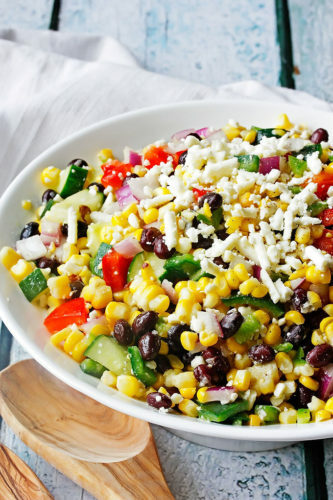 Cut the corn off the cob and place in a large bowl. In a smaller bowl add the vinegar, olive oil, lemon juice and ranch seasoning. Mix it up well and pour over the ingredients in the large bowl.